You're looking for a quicker way to create custom websites, without the need to code. You have clients that want to update their website themselves, with ease. 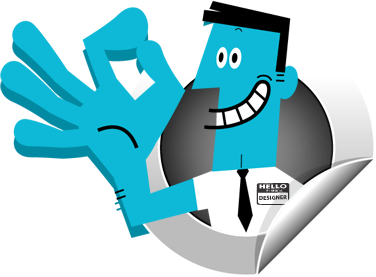 You want all of the technical details to be taken care of, including; website hosting, security, backups and up-time. There's nothing to download, install, upgrade or maintain. Stealth CMS is a complete system, which lives on our hosting infrastructure. This means you can create custom websites within your web browser. It's easy for your clients to keep their web pages up to date using any internet connected computer in the world. You can add unlimited websites to your Stealth CMS account. In fact, the more websites you create, the cheaper each site is. There are no set up fees required, you just pay a monthly fee for each website that uses Stealth CMS. The old days of creating design mockups in software such as Photoshop and manually slicing and positioning elements, on a page using cascading style sheets (CSS), are gone. Outsourcing the 'coding' can save time. Unfortunately, there's often the need to go back and forward, in an effort to get your coded website looking like the design you created. Then, there's the challenge of getting the coded design into a content management system (CMS) so your clients can update and add pages themselves. And, if you've been through this process you're landed with the mighty job of managing hosting, security, backups and all of the client 'how do I...' questions. There's no better time to take Stealth CMS for a free test drive to see if it's right for you.